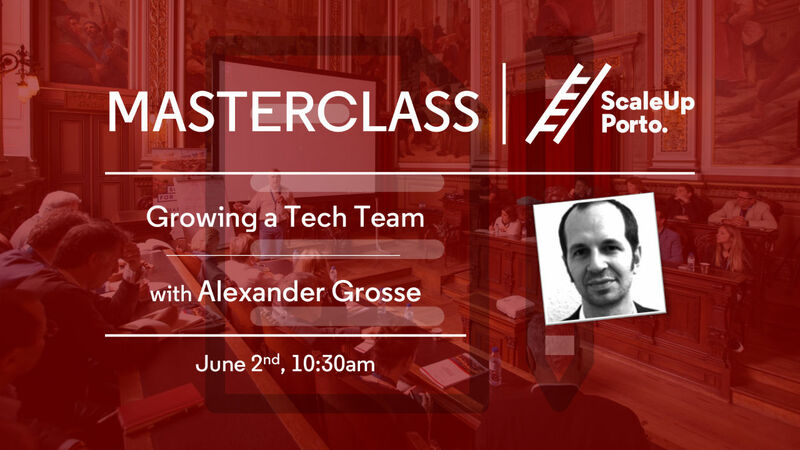 Masterclass: Growing a tech team | ScaleUp Porto. As the company grows, how can you structure your engineering department? And what if you need to have more than one engineering team? This Masterclass will address strategies and tactics for managing growth, starting with a single team and exploring typical scaling points as the team grows in size and complexity. CEOs, CTOs and people responsible for HR at growing startups and scaleups. Alexander Grosse is currently Director of Engineering at BCG Digital Ventures. He was previously VP of Engineering at Issuu and at SoundCloud. Alexander co-autored the book “Scaling Teams – Strategies for Building Successful Teams and Organizations“, a guide that provides a practical approach to managing your way through the challenges that arise when a tech team grows.